Gluten-Free Living > Tips > Is there an easy recipe for a good fall soup? Is there an easy recipe for a good fall soup? 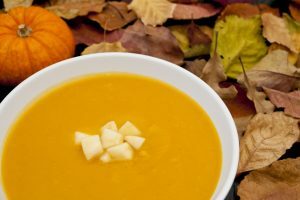 This nutritious Super Simple Pumpkin Soup is made in the slow cooker so you can prepare it days in advance and warm it up when you’re ready.